NewsCopter 7 was over the scene as police investigated. CHATHAM, New Jersey (WABC) -- New Jersey Transit said a trespasser was struck and killed by a train near the Summit station Monday morning. The person was struck at around 6:30 a.m. by train # 6610, the 5:55 a.m. departure from Dover to Hoboken. Service was suspended for over an hour on the Morris and Essex line between Chatham and Summit. Service resumed at around 7:45 a.m. with 60 minute delays. During the suspension, service was able to get through on the Gladstone Branch, but was only running west of Chatham on the Morristown Line. 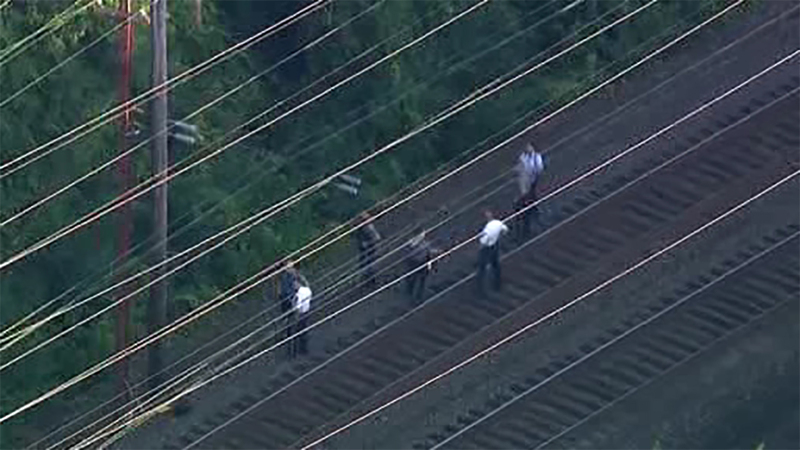 NJ Transit is investigating what the person was doing on the tracks. There were 150 passengers and crew. They were not injured. Almost all Morris and Essex trains have been diverted to Hoboken since the Penn Station rehabilitation project began last week. Four early morning trains still serve Penn Station. Those all got through before the accident.